Half Bad featured on my to-read list for the longest time. I had a vague notion that it was a supernatural YA read but apart from that, I didn’t have a clue. I vaguely recall discovering it on a year-end ‘books to look out for next year’ list and even then, it was out of date, marking what was then the upcoming paperback release. This is my way of saying that I’m woefully late to the Half Bad party but I have definitely arrived. Set in modern day England and moving onto mainland Europe, Half Bad tells the story of a country divided between black and white witches, where stereotypes, discrimination and persecution are daily occurrences and those that have power use it to brutal effect against those that don’t. Nathan is a half-code whet, the son of a white witch and a powerful black witch, indeed the most powerful black witch of them all. He will receive three gifts on his seventeenth birthday but until then, it is not given whether the white or black witch in him will prevail. But things have gone desperately wrong. Languishing in a cage, Nathan reflects on the events that lead him to this point and it is a dark, grim recollection. I’m pleased that I didn’t know anything at all about this book before before I began it. Had I know that it was about witches, in England, I wouldn’t have even started it, thinking that there wasn’t room for another such series in modern day Britain. But this book is nothing like the Harry Potter series. 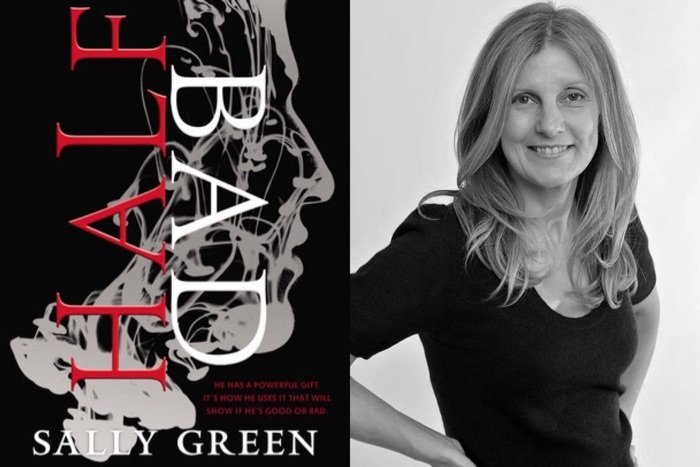 Reading more like Frank McCourt or Roddy Doyle at his most grim, Half Bad is a bleak and searing account of a society that is rotten to the core. It is a society where children are beaten, abused and tortured, one that reminded me in jarring relief of life in Apartheid South Africa. It was also a painful reminder of the danger of far-right politics and the incremental normalisation of hate and discrimination in society. Which leads to the tricky task of actually reviewing this. Would I recommend Half Bad? Absolutely. Sally Green has created a fantastic world of original magic and this book is definitely worth reading if only to get to the second book in the series. The difficulty arrives then in rating the book. My original rating was 3 out of 5 stars but that is a rating I use for average books and Half Bad is anything but average. The problem is that it is not an easy read, straining under the weight of such heavy topics, and I was only too pleased to finally finish it. After much reflection, I finally decided that Half Bad is definitely a 4 star read, albeit an uncomfortable one. I’d recommend it for readers who are seeking superior YA supernatural fiction with a strong political commentary .